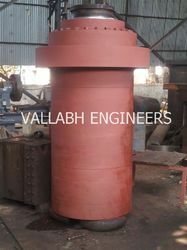 We are a leading Manufacturer of heavy hydraulic cylinder and heavy duty hydraulic cylinder from Vadodara, India. Our offered range of Heavy Hydraulic Cylinder is manufactured from high grade quality material. We provide the offered range to our respected clients at market leading prices. 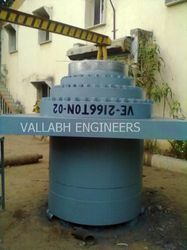 These are duly tested by our experts on the various quality parameter. We are offering Heavy Duty Hydraulic Cylinder at affordable price in market. These hydraulic cylinders are built with smooth honing surface for best sealing and long life. Our range of hydraulic cylinders is designed and developed with the help our expert engineers and technicians to ensure proper functioning at clients end.